Ishizuchi Connects Takamatsu (高松) with Matsuyama (松山) and Uwajima (宇和島). Shiokaze depatrs from Okayama to Matsuyama and Uwajima via Seto Ohashi bridge (瀬戸大橋). Most of these trains are combined to operate between Utazu (宇多津) and Matsuyama/Uwajima. When you go to Matsuyama, use Sanyo Shinkansen to Okayama (岡山) and transfer to Shiokaze at Okayama. Most of Shiokaze are connected with Nozomi, Hikari, Mizuho and Sakura in right connection time at Okayama. Of course these trains can be used by Japan Rail Pass with no restriction. Shiokaze connects Okayama with Matsuyama in 2 hours 45 minutes to 3 hours, and Okayama with Uwajima in 4hour and 15 minutes. Ishizuchi connects Takamatsu with Matsuyama in 2 hours 30 minutes to 2 hours 45 minutes, and Takamatsu with Uwajima in 4 hours. JR Shikoku 8000 series is the primary train sets for Shiokaze and Ishizuchi that is operated between Okayama/Takamatsu and Matsuyama. In 2014, newer 8600 series were introduced. But there are still a few train sets available. JR Shikoku 2000 series is used for Shiokaze and Ishizuchi that is operated between Okayama/Takamatsu and Uwajima. 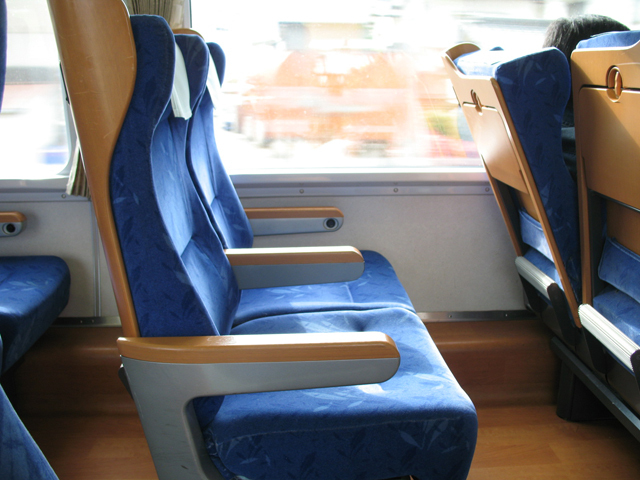 Both series have same seat configuration. The seat layout in Green seat is 2+1 and in Ordinary seat it is 2+2. The seat pitch in Green seat is 1170 mm and in ordinary class is 980 mm. But 8600 series do not have Green car yet. JR Shikoku 2000 series are used as “Anpanman” train. “Anpanman” is one of the most popular animation characters in Japan. Lots of characters are painted on the train. Some of the trains have the specialized Anpanman seat too. *Usually car#1-3 are Ishizuchi, and car#4-8 are Shiokaze. But all 8 cars are used for Shiokaze. Ishizuchi is operated by a different train between Takamatsu and Utazu only. *usually car#1-5 are Shiokaze, and car#6-8 are Ishizuchi. But only car#1-4 are used between Matsuyama and Uwajima. I am planning to use a Green Pass to visit Shikoku, so I have some questions for you. Firstly, I understand that the green car is only available on shiokaze and not ishizuchi? Would it be possible for me to book ordinary car from Takamatsu to Utazu station and then a green car ticket from Utazu to Matsuyama? Do advise, thanks! It is no problem to book both tickets. Thanks for the prompt reply! You think it will not be a problem changing at Utazu even if we have 4 people with luggage? Also, I wish to inquire about the Iyonada Monogatari and Sennen Monogatari. For the first one, can you give me some information about the train? I understand the route and all, but I would like to know your opinion on whether you think it is interesting, and also whether I can take it just with JR Pass. Same for the second train. Thank you! As I shared Youtube line, two trains are coupled and connected at Utazu. You can move to Shiokaze from Ishizuchi in the train. Or you can get off Ishizuchi at Utazu, walk to Shiokaze on the platform. I think walking on the platform ie easier with luggage. Actually I cannot say many things about Iyonada and Sennen Monogatari. Because I have taken these train routes before but I have never taken these trains. Both scenery is very nice and hard to say which one is better. Iyonada runs along the shoreline. Sennen runs along the gorge. You can choose it by your taste. 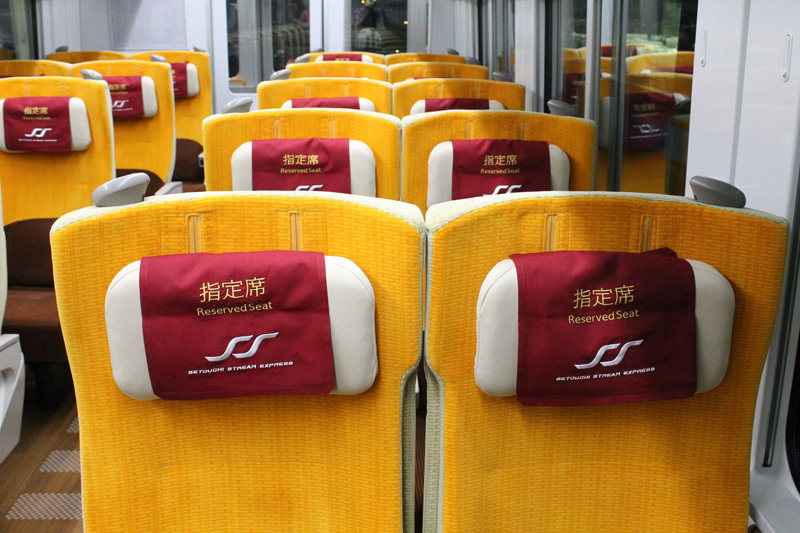 If you use JR pass green, both trains are covered but if you want a meal on board, that is extra. You can book it at Midori no Madoguchi (ticket window). I understand that the Sennen Monogatari tickets are released for purchase one month before the date of travel. However, they are extremely popular and are hence sold out very quickly. I will only be in Japan about two weeks before I board the train, and as this will be in June, I suspect it will be fully booked. Also, I have found that the English website allows foreigners to reserve the tickets with the meal, however I do not want to pay for the meal and only want to reserve the ticket. Thus, can I reserve them on the phone? Do advise me on what to do, thank you! Unfortunately there is no ways to book over the phone or online. You have to book it after you arrive in Japan. As you think, it may be booked out. But there is no choices. On this page: http://www.jr-shikoku.co.jp/sennenmonogatari/ at the bottom there are two phone numbers. Will either of these allow me to reserve the train ticket? Thank you! No, unfortunately you cannot book a ticket over the phone. These numbers are a general information and a meal booking. This page also says, please purchase a ticket at “Midori no Madoguchi” which is a ticket window. Thanks a lot for all the information you share here. It is valid. 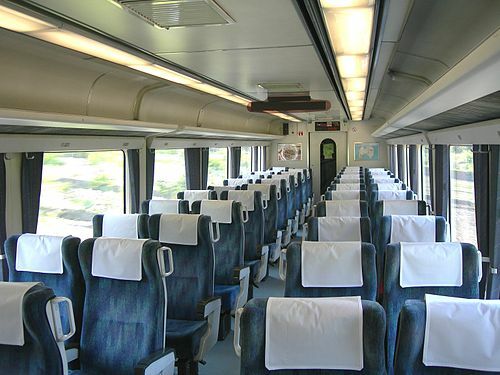 But if you reserve your seat, you will be assigned on the right cars and direction. You don’t need to care about this car number and division. I am trying to find out which series is used on Shiokaze 1, and from that which sides the A & C seats are on and the direction the car is facing, so I can figure out which seats to book in the green car. Also I plan on returning on Marine liner 14. I think the Green car is at the rear heading towards Okayma. Is this correct? and do you have a link to photos from row 1 in the green car? I’m not sure how good the view would be from the upper level judging by the front of the train. Usually Shiokaze 1 is operated by 8000 sereis. 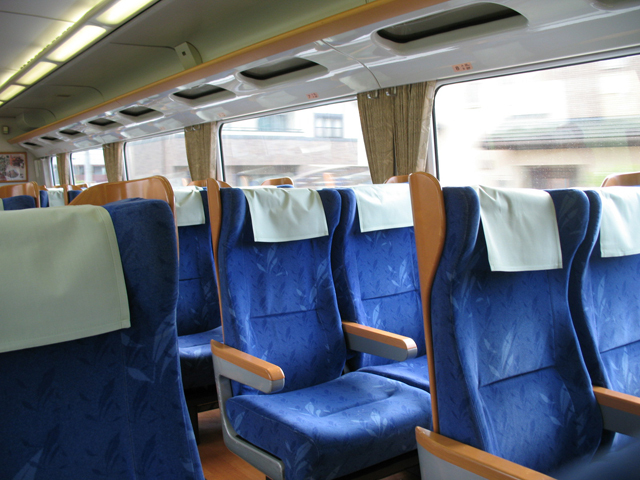 From left to right, there are seat A, B and C in Green car toward Matsuyama. Marine liner has green car on upper level of the last car. I don’t have any photos of that. I am planning to travel during Golden Week from Matsuyama to Okayama, then continue on to Osaka late afternoon. Do you think you can recommend me a pass that’s not Japan Rail Pass but a regional pass that enables me to cover that? I found All Shikoku Rail Pass for Shikoku travel, and Kansai Thru Pass but I’m not sure if any applies to Shiokaze trains. Great site and great help. Question. I am traveling to Japan in Feb 2014 and I will buy a 21 day JR Rail pass. I am visiting Sapporo, Tokyo, Hiroshima, Kagoshima, Okayama, Shikoku then back to Narita. Do you think I have a better chance with my Shinkansen and exp reservation if I buy Green car as there are very limited exp trains in the Sapporo lines? I am only thinking that if I miss a reservation on Green I could also try booking 2nd class? Usually February is not a peak season. So reservation is not very hard except Sapporo between Feb 5 to 11. Sapporo Snow festival will be held in this period. 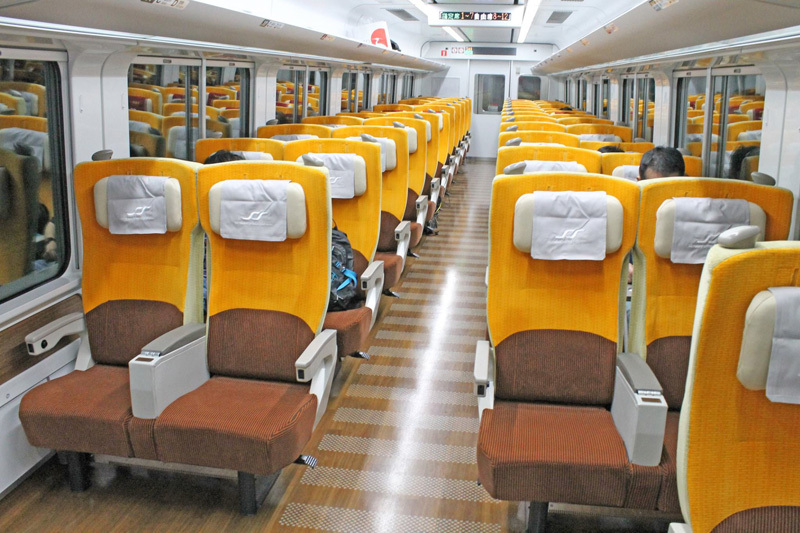 Trains will be super busy especially between Sapporo and Hakodate. Of course if you can’t make a booking for Green class, you can book ordinary class. Thank you for your super quick reply. Yes I am going to visit the Snow Festival in Sapporo and plan to leave Tokyo by Shinkansen on the 6th Feb and on to Hakodate the same day and want to book the Super Hakuchi, then on the 7th the 6:43 Ltx Exp Hokutosei to Sapporo. Problem I see is that I arrive late 5th into Narita and will not be able to book my reservations on the 5th if I am later than 21:00 out of the customs etc, flying from Australia. I think I will buy Green car but hope I can book at Tokyo Station early, on 6th for the 6:32 Hayabusa to shin Aomori. My flight is due to arrive at 19:00 so if no delays I should be able to book it at Narita I think? Problem with the online booking system is that if I am late I get charged on my credit card from JR if I do not pick up the ticket, am I correct? Narita Airport JR East Travel Center is open until 20:00. But you still can turn in JR Pass and make a booking at regular ticket office until 21:45. You must do it at Narita on arrival day. Otherwise you have to wait until 7:30 on next day. Because JR East Travel Service Center at Tokyo station is open at 7:30. You can’t take 6:32 Hayabusa if you can’t make it on arrival day. As long as your flight arrive on time, it will be fine. You can complete exchange the pass and complete your booking. By the way, you can’t take 6:32 Hokutosei at Hakodate on 7th. This train is overnight train. Even if you take this train in daytime only, you have to pay accommodation fee and surcharge because JR Pass cover only base fare for overnight train. So technically you can take it if you don’t care to pay extra. But Super Hokuto #1 at 7:04 from Hakodate is available. It’s fully covered by JR Pass. Great reply and very helpful, just hope my flight is on time. I am having trouble seeing the Super Hokuto times on Hyperdia when I select 7th Feb for Hakodate to Sapporo? It shows up it I search other months? Your link you sent is great but how to search Hakodate to Sapporo as this seems to be the best train to catch. No more questions after this. Sometimes the database of Hyperdia does not catch up with the most updated timetable. Especially JR Hokkaido has an engine issue and they suspend several trains in all part of Hokkaido. It will be updated, but now use the timetable in JR Hokkaido site to plan your trip in Hokkaido. I want to travel to Yusuhara from Osaka, can you please tell me which JR should I take, or rather what kind of transportation to Yusuhara after I arrive in Matsuyama. I just want to make sure about Yusuhara. Do you mean Yusuhara (梼原) is located in Kochi Pref.? If so, don’t go to Matsuyama. As far as I know, Yusuhara is not connected with Matsuyama by any public transportation. Go to Suzaki (須崎), and then take Ltd Exp Nanpu to Okayama. It is connected with Shinkansen to Osaka at Okayama. I am Canadian and planning a trip to Japan and I need the following train information. a) On May 04, I want to travel from Fukuoka (Hakata) to Matsuyama. b) On May 07, I want to travel from Matsuyama to Takamatsu. c) On May 09, I want to travel from Takamatsu to Kansai International Airport to arrive at 5:30 PM. 1. Will the JR Rail Pass cover all trains needed? 2. Do I have to reserve all seats because of the holiday season? 3. How would i transfer luggage that can’t be taken on the trains? a) Shinkansen from Fukuoka (Hakata) to Okayama, Shiokaze from Okayama to Matsuyama. c) Ishizuchi from Takamatsu to Okayama, Shinkansen from Okayama to Shin Osaka, Haruka from Shin Osaka to Kansai airport. 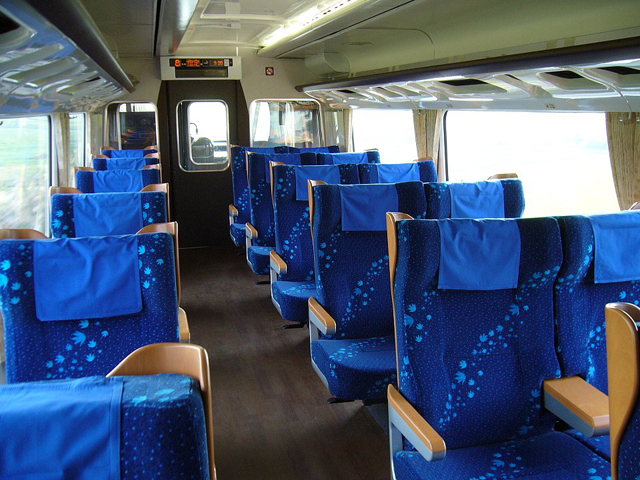 As long as you don’t take Mizuho or Nozomi on Shinkansen, all trains are covered by Japan Rail pass. Please see the following posts to get more info about Mizuho and Nozomi. Usually most of travellers leave around passenger’s deck if they cannot fit the luggage lack on passenger’s cabin. If you have really huge luggage, you need to use parcel service. So don’t use hard shell suit case. 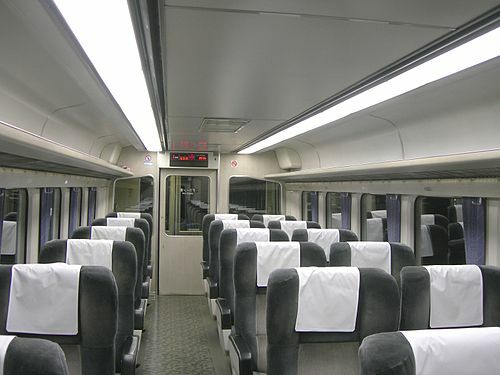 At the last, you cannot get a timetable at this moment because Japan Railway revise timetable on March 17, 2012. They release the detail in late February. You can get the detail timetable at Hyperdia in March. First of all I want to thank you for the huge amount of information you have here. It this really possible? i mean, if I only have to cross the island platform it’s easy, but if I have to cross to the other track (going up and down the stairs) is almost impossible to do it in 2 minutes. There’s no indication of the tracks departures for that particular station. Maybe you have one of those really big books with all the timetables and you can look for it. Thanks for your comment. I’m happy to hear that my information help you. 2 minutes transfer time is acceptable in Sakaide. It is very tight. But Japan Railway knows some passengers from Ishizuchi transfer to Sunrise Seto. Sakaide station is not big. As you are worry, you need to cross the track. You need to go down the stairs and up the stairs. Please refer the following link in JR Shikoku website.